When Chef Carl Casper (Jon Favreau) suddenly quits his job at a prominent Los Angeles restaurant after refusing to compromise his creative integrity for its controlling owner (Dustin Hoffman), he is left to figure out what’s next. Finding himself in Miami, he teams up with his ex-wife (Sofia Vergara), his friend (John Leguizamo) and his son (Emjay Anthony) to launch a food truck. Taking to the road, Chef Carl goes back to his roots to reignite his passion for the kitchen -- and zest for life and love. 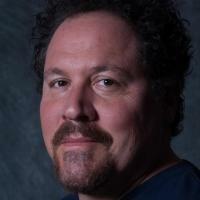 Principal Cast: Jon Favreau, Sofia Vergara, John Leguizamo, Scarlett Johansson, Dustin Hoffman, Oliver Platt, Bobby Cannavale, Amy Sedaris, Emjay Anthony, Robert Downey, Jr.
Jon Favreau first established himself as a writer with Swingers, in which he starred, and made his feature film directorial debut with Made, which he wrote and produced. His credits include Iron Man, Iron Man 2, Cowboys & Aliens, Elf, and Zathura. He also served as the creator, producer and host of the Emmy-nominated IFC series Dinner for Five.